MARCH 15, 2019 — On March 8, the Department of Justice announced that a consent decree was lodged in the hazardous waste case Atlantic Wood Industries in Portsmouth, Virginia. The proposed settlement for NRDA restoration is $1.5 million to restore approximately 15 acres of oyster reef. 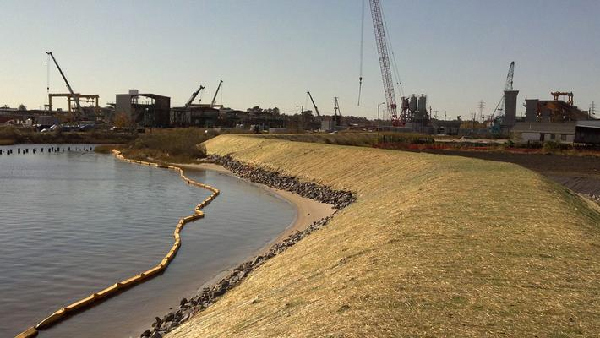 This is a significant milestone in the effort to restore the Elizabeth River. From 1926-1992, a wood treating facility released heavy metals at the site, resulting from Navy sandblasting at the Norfolk Naval Shipyard. The EPA remediation addressed 40 acres of land, and 30 acres of river sediments. As a trustee, NOAA provided technical input and review for the remedial investigation and feasibility study to EPA and provided recommendations to for the remedial action to address trust resources. By working in close cooperation, debating best practices, and using sound science the EPA and NOAA were able to produce a plan to best benefit trust resources. NOAA coordinated with co-trustees, the U.S. Fish and Wildlife Service and the Virginia Department of Environmental Quality, and used EPA remedial data to quantify injuries from Navy sandblasting activities to the river. The Natural Resource Damage Assessment (NRDA) activities did not address injuries from creosote contamination. Through a long standing partnership with the Elizabeth River Project, NOAA was able to identify, scale, and develop a proposed restoration project. 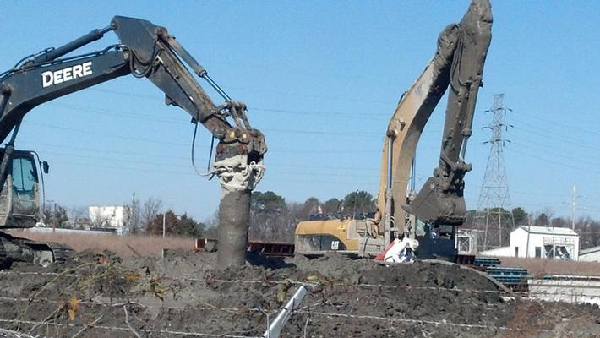 It will use the $1.5 million to build approximately 15 acres of oyster reef in the Elizabeth River. Oysters are valuable because they filter water as they feed, which improves water quality. This provides cost-effective ecological benefits and improves habitat for fish and other marine and aquatic life. Oyster restoration has been highly successful in regional restoration efforts like in the Lafayette River. The settlement process posed some challenges in addressing a federal/private Superfund site, mixed contamination in the river, and the multifaceted role of the federal government. This case is an excellent example of NOAA working with multiple parties, including the Navy, to develop technical and legal solutions to restore natural resources. The proposed plan represents years of work and dedication from local, state, and federal stakeholders. The public can view and comment on the proposed consent decree on the Department of Justice website. For further information, contact Simeon.Hahn@noaa.gov.